Our first dish was Fillet of Salmon en Croute with spinach and cream cheese. I particularly loved the tiny aspic cutters we used to cut the pastry fishes and stars to decorate it with and have been seeking similar since but with no luck. Crab, leek, smoked haddock and parmesan tart. Week 2 was an amazing crab, leek and smoked haddock tart made with crumbly parmesan pastry. This was sooo good and I made another larger version which we ate over Christmas. This is definitely a dish I will make again and again. I missed week 3 as I was in Germany but was back in time for week 4's Hearty Fish Pie which I froze and we subsequently ate on Christmas Eve. The savoury crumble topping was a revelation to me and I'd use it again. Flour, butter, rolled oats, parsley and cheese. Week 5 required plaice but I was unable to get hold of any so opted for Lemon Sole as a substitute. I made and ate a portion of the fillet tartare in class (grilled sole topped with tartare sauce and a cheese, breadcrumb and cayenne crust) and took the goujons home to cook and eat the next day. Was very happy with my first go at making mayonnaise to use in the tartare sauce and won't be scared of it in future. Girl declared the sole goujons the best fish fingers ever. They should have been at £19.50 for four fillets of Lemon Sole. Our final Week 6 class showed a great way of using up leftover mashed potatoes and as such I'm linking the recipe up to the No Waste Food Challenge where the theme for this January is leftover mash. Skin and bone the smokies and break the flesh into flakes. Add the fish, cream, chives and seasoning to the potatoes. (Go easy on the salt as the Smokies are salty.) Mould the mix into croquette (or fishcake) shapes. Place on a tray and chill slightly. Shallow fry until crisp and golden then pop in the oven for 20 minutes to ensure they are warmed through. Peel and coarsely grate the beetroot and put it in a small pan with all the other ingredients and 2 tablespoons of water. Bring to the boil, reduce the heat and simmer for 15 minutes. Allow to cool and chill before serving. If Smokies aren't your thing you can use practically any other fish to make croquettes from smoked haddock to tinned tuna. Fishcakes, Stovies or Corned Beef Hash are my usual creations to use up leftover mash so I'm looking forward to trying out some other ideas from the No Waste Food Challenge. With the shocking amount of food wasted each year recently hitting the headlines we all should be making it our new years resolution to Love Food Hate Waste. Ooh yummy! Those look delicious! They all look delicous! What an excellent course to attend. 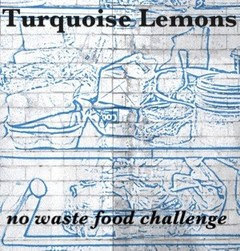 :) Thanks for entering your leftover mash recipe to the No Waste Food Challenge!